A Florida sheriff’s office who adopted a dog found with its mouth taped shut in February decided to make the dog a part of the force. The Lee County Sheriff’s Office said Tuesday that the department “deputized” Chance, an abandoned dog authorities found wandering around a neighborhood with red electrical tape around his snout before they rescued him. “Having been deputized last Thursday, eager to get his paws dirty, Deputy Chance sprang into action this weekend,” the sheriff’s office wrote in a Tuesday Facebook post. When the sheriff’s office initially took Chance in, authorities found the dog suffered wounds to its chest and left arm and had been dehydrated and malnourished. One week later, the sheriff’s office said Chance was “bursting with energy” and on the road to recovery. 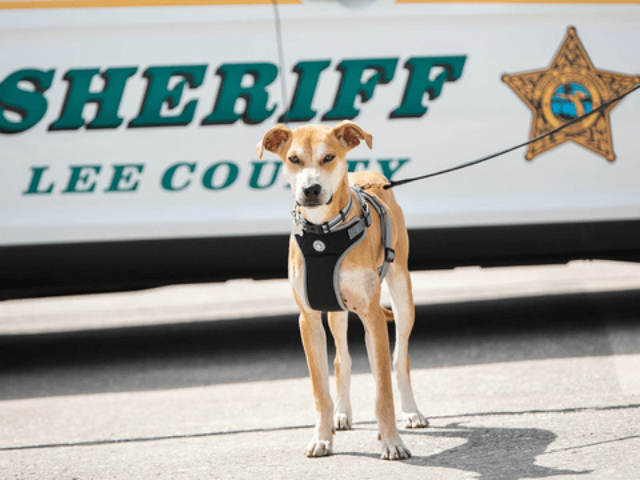 The sheriff’s office said Chance will eventually serve as the “Pets on Patrol Spokes-Dog” for the department’s Community Relations Bureau and will have an office next to the person who adopted him, Sheriff Carmine Marceno, Fox 13 reported. Police are still trying to track down the individual who abused Chance.